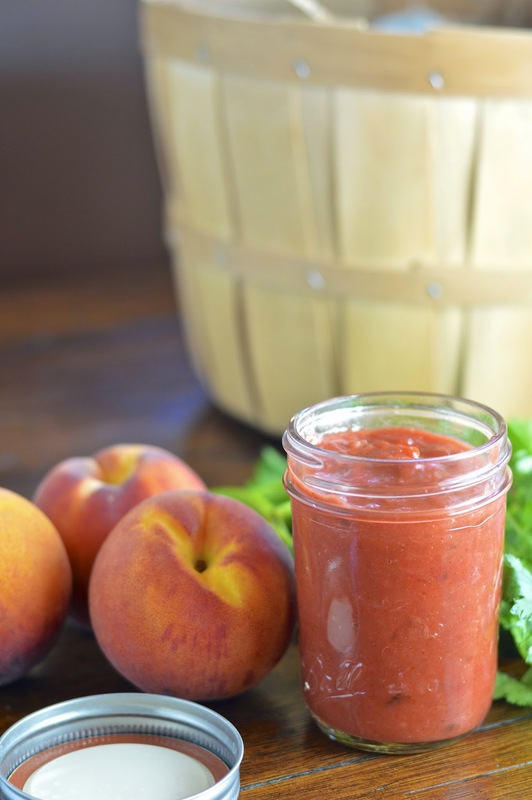 This spicy peach bourbon barbecue sauce is perfect for your summer barbecues with a hint of spice and fruity sweetness. 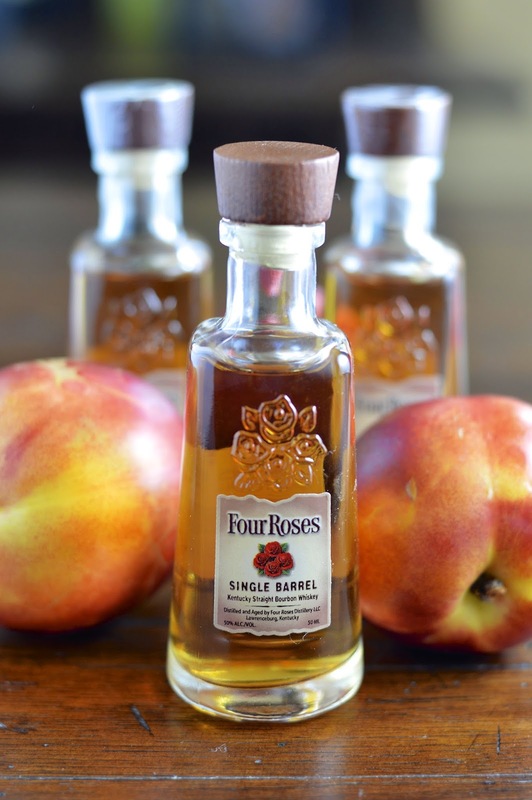 To celebrate the traditional summer BBQ, Four Roses Single Barrel Bourbon asked San Diego food bloggers to create a tasty bourbon barbecue sauce. Memorial Day is not officially summer, but does seem like it's kick-off. 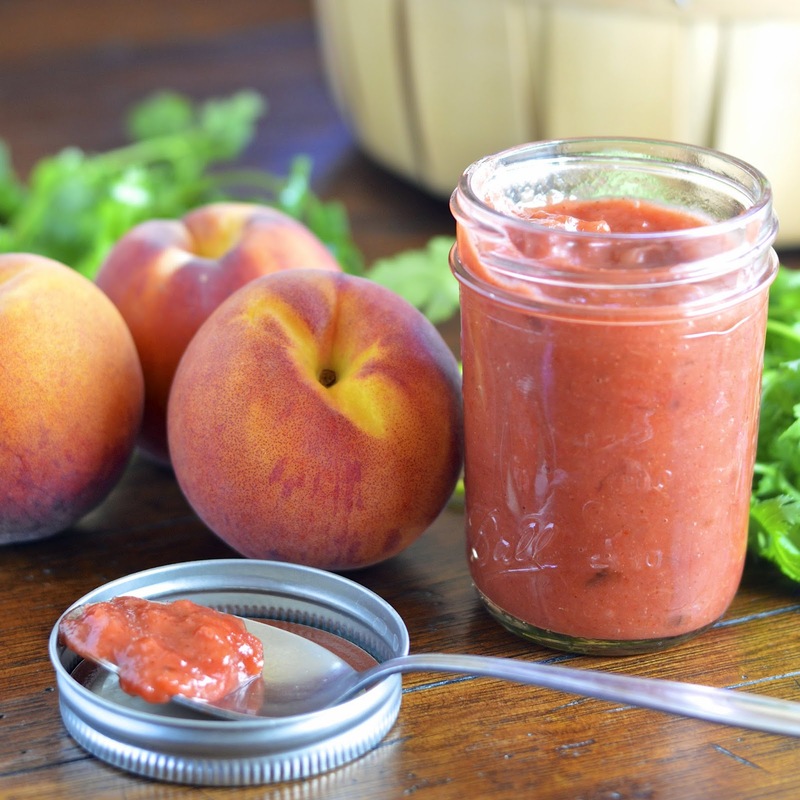 You can use this spicy peach bourbon sauce to brighten up grilled dishes made with chicken, salmon or pork all summer long. Just slather it on right at the end of the cooking process to maintain it’s bright and complex flavors. I never thought I was a huge bourbon fan but oh boy, this Single Barrel Four Roses Bourbon is phenomenal. My first instinct was to open the bottle and take a sniff. My nose was greeted with a woodsy, fruity aroma that was enticing and delicious. I was seriously tempted to have a bourbon on the rocks at 12 noon! Other aromas and flavors included cocoa, maple syrup and floral notes. It only seemed right to pair this bourbon up with some fruit to bring out it's sweetness and some tangy Sriracha to enhance the spiciness. 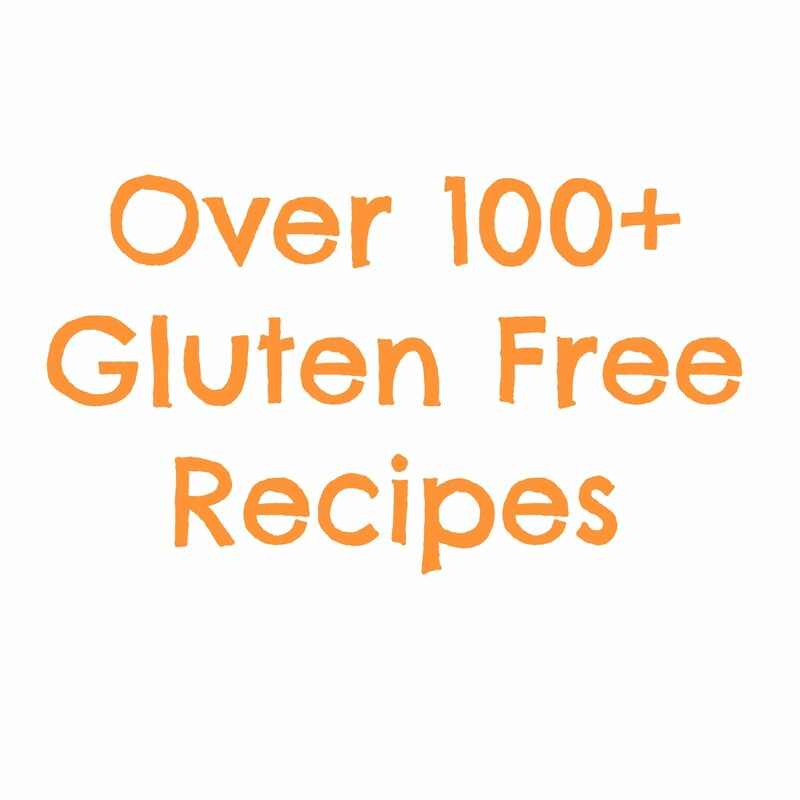 Mix it up with some honey and other barbecue sauce ingredients and you are ready for your summer cookout. Also check-out my Frozen Blackberry Mint Julep made from Four Roses Bourbon. Cut an x in the bottom of the peaches and place in a medium pot of boiling water. 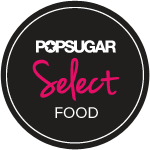 Cook for 10 to 15 seconds and then transfer to a bowl of ice water with a slotted spoon. Let cool. Peel peaches and roughly chop. In a large saucepan saute onion in oil for 8 to 10 minutes until they are golden and tender. 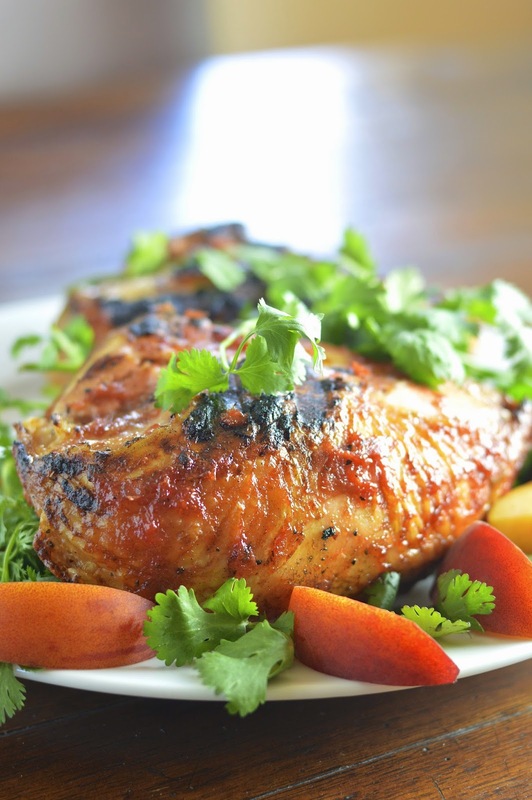 Add the next 8 ingredients and cook on medium low heat for approximately 30 minutes, stirring occasionally; the peaches should be tender and the sauce thickened into a glaze consistency. Transfer mixture to a blender or food processor and blend until smooth. Let cool and store in the refrigerator (covered) until you are ready to use (can be stored for up to a week).